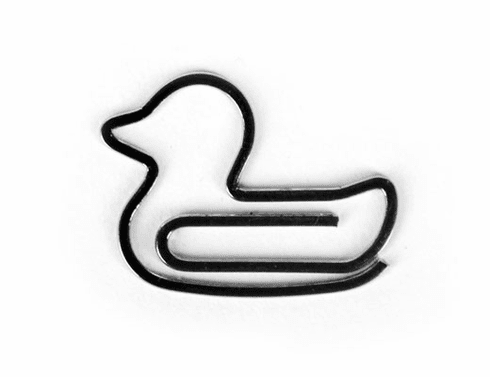 Fun duck shaped paper clips. Super flat profile keeps papers neat and organized. Great for use as bookmarks or page markers. Set of 6 metal clips. Clips measure 1 x 0.75 Inches.